The stage is dark and silent. Suddenly green neon moon and stars appear on the ceiling and the stage lights up with red and yellow lights while fog drifts on-stage. Slowly, five Sailor Soldier figures walk onto stage and strike a pose. A mysterious voice tells the story of the Dark Kingdom and their aim to collect energy from innocent humans on Earth and that the only thing that stands in their way is the Sailor Soldiers. The five figures then break into a fast dance move as a remix of the opening theme song begins to play. When they stop, the audience cheers. As the stage is cleared, a projection featuring rotating photos of Azabu Juban are shown on the wall. 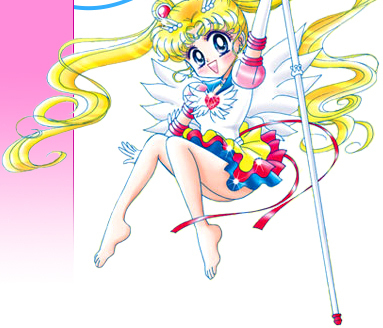 Usagi then walks on stage looking for Luna when she gets a call from Ami. Turns out she's late in meeting them and she runs off stage to catch her train. Photos of Ginza are then shown to set the scene for where Makoto, Ami and Rei are waiting. 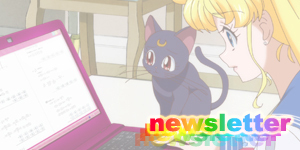 Rei suggests that they all leave without Usagi. Ami is shocked but kind of agrees. Just then Minako arrives and asks them what they're doing. They explain they're waiting for Usagi but Minako says they can't leave the fans waiting and all four walk off stage right. Usagi then arrives and asks the audience where her friends went. She plays with them a bit, pointing in the opposite direction but then thanks them and runs off to the correct side. Usagi quickly arrives at the hall just in time for Makoto, Ami and Rei to see her. 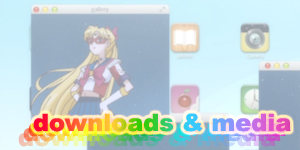 Minako then arrives which makes Usagi go a bit crazy. Ami explains that Minako is going to help them with their concert. 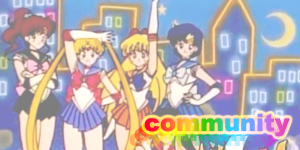 Makoto jokes that she's their "Sailor Venus" but is quickly hushed by Rei as Usagi doesn't know Minako's identity yet. The girls then announce the beginning of their concert. After singing and dancing to Cest La Vie they take turns introducing themselves to the audience and announce that Sailor Moon Super Live has now started! with Minako, Usagi and Ami. As the theatre fades to black, Kunzite's voice is heard commenting on how there is a lot of energy in the theatre. Nephrite and Jadeite then appear among the audience and begin to "collect energy" and ask for Sailor Moon's location on Kunzite's command. Kunzite meanwhile gives a humorous narration, constantly telling Nephrite and Jadeite to stop making friends with the audience and do their job (the two were happily shaking hands with the audience). Suddenly, piano music is heard and Zoicite appears on stage. He then picks up a small toy piano and begins to play themes from several Japanese series including Doraemon. He eventually stops and tells everyone that for the Prince's sake he must kill the Princess. Kunzite comments on how persuasive Zoicite is today which gets many laughs from the audience. Zoicite simply says that he's feeling in good health right now. Kunzite then tells Nephrite to get someone from the audience to go with them. Funnily enough the little girl he chooses begins to cry her heart out. Suddenly, Tuxedo Mask appears and announces he's come back from London to defend the people in this theatre. Kunzite says that that doesn't sound like a very good excuse. Tuxedo Mask fights all four generals and finishes the fight by blasting them with what looks like a Tuxedo Smoking Bomber attack. As the song finishes, Luna waves goodbye to all the girls who run off stage right. Unknown to her though, Jadeite sneaks up behind her and captures her with a streamer attack! As the lights come back on, a woman runs on stage and tells everyone how terrible it is that Luna's been kidnapped and yells out to Sailor Moon and the others what has happened. No one replies though. 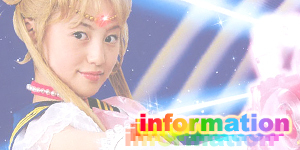 As Sae leaves, Luna yells out her transformation phrase and runs on stage as Sailor Luna. The four generals also enter and begin to intimidate her. Nephrite though thinks it's dishonourable to fight a little girl like this. 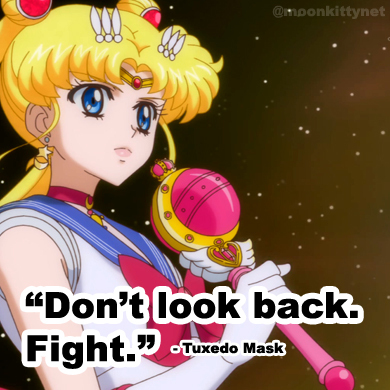 Tuxedo Mask then enters and tells Sailor Luna to run and save herself. Luckily Usagi and the girls appear and transform into Sailor Soldiers in a burst of smoke and light. A large fight ensues as one by one the Sailor Soldiers attack the generals. Sailor Mercury attacks Kunzite with Mercury Aqua Mist. Sailor Mars then attacks Jadeite with Youma Taisan. And finally, Sailor Venus uses Venus Love Me Chain against Zoicite. The four generals are knocked back but they eventually recover and threaten the Sailor Soldiers again. 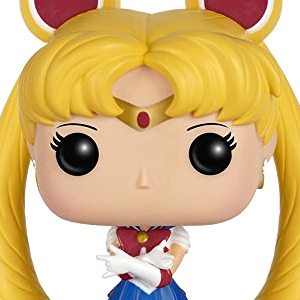 Sailor Venus tells them to use their Star Tambourines and give Sailor Moon their power and together they blast the four generals with Moonlight Attractive Attack which sends them running. Sailor Moon then thanks the audience begins to run off stage. Sailor Mars, Mercury, Jupiter and Venus yell after her though and remind her why there's an audience. They have to perform! 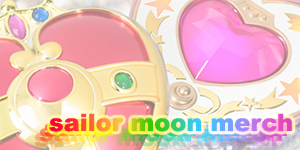 During the second verse of the song, Sae and Sailor Luna come out and join the Sailor Soldiers as does Tuxedo Mask and the four generals who all line up for the big finale. 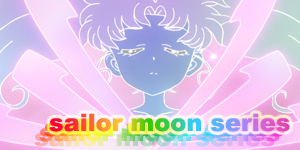 Sailor Moon joins Sae in the final verse of the song. Everyone's dancing and jumping and as the song draws to a close, everyone waves to the audience and bows. Kirari Super Live is the first time Sae, the singer of the Pretty Guardian Sailor Moon theme song, Kirari Sailor Dream has appeared as a character in the Sailor Moon universe though she does appear as herself and the whole Kirari Super Live event obviously takes place out of continuity. Tuxedo Mask used a new powerful energy attack during his fight with the four generals that looked very similar to how the Tuxedo Smoking Bomber attack is performed in the Sailor Moon musicals. While he doesn't yell an attack phrase it seems highly likely that the writers slipped this in for fans of the Sailor Moon manga (where this attack originated). The whole feel of the event seems closer to the anime and manga series than the live action funnily enough with all five girls being good friends (something that doesn't happen until very late in the series), the four generals working together, Tuxedo Mask possessing the Tuxedo Smoking Bomber attack and a simple storyline about rescuing Sailor Luna and sending the bad guys away to fight another day. The voice over intro also seems very in keeping with the anime as the live action seems to focus more on the personal lives of the Sailor Soldiers than the superhero aspects that the anime and manga did. A nice treat for long time manga fans concerns the positioning of the four generals and Sailor Soldiers in the final line-up. They're each paired with their respective partner they had in their past lives in the Sailor Moon manga continuity! 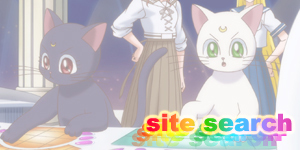 Naoko Takeuchi had confirmed these pairings in a manga illustration as well as in the first Sailor Moon musical which Naoko seemed to be involved in and acted as a sort of sequel to the first anime season. Rumour has it that the cast from the Sailor Moon musical were in the audience though I've personally never seen them in the audience and noone else has been able to quote where the rumour came from. Very short closing credits were used at the end of the event. The Minako Aino concert scene from Act 35 was filmed during this event and required all the little girls in the audience to take off their Sailor Soldier uniforms to fit with continuity. Several children were rather upset over this and a few parents asked the producer and director if they could make exceptions for their children. One parent gave the director his daughter's Sailor Moon costume as a present for Miyu Sawai (Sailor Moon) as his daughter wanted her to have it if she couldn't wear it. Cute.